The past seven days, I did an hour of Zumba to exercise. My husband and I also walk and jog in the morning when it's not raining. Apart from the daily exercise, I also closely monitored my calorie intake. I make sure that I have enough fiber in every meal. Sometimes, I get to take C-Lium Fibre twice a day when I eat food that's been cooked in oil. The Food and Nutrition Institute of the Department of Science and Technology recommends taking at least 20 to 25 grams a day. Lack of fiber not only causes digestion problems but also increases the risk of intestinal bleeding, coronary heart disease, and diabetes. 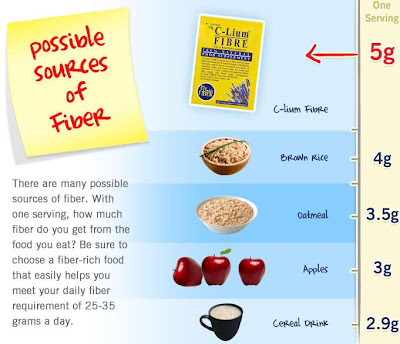 One teaspoon of C-Lium Fibre is already equivalent to 14 tablespoons of insoluble fiber from oats and cereals. Meanwhile, my blood pressure on Day 1 was 150/89. As of this writing, it's 129/91. I test my blood sugar level and measure my blood pressure at the same time everyday because I'm monitoring the changes. 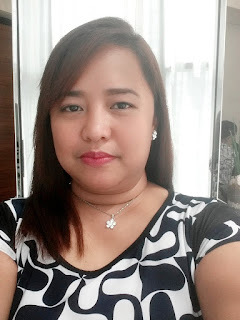 The weighing scale did not show any change but I lost 2 inches off my waistline. Also, my menstrual period finally arrived after close to 4 months of waiting. Take note, I did not induce it with medications. I know I still have a long way to go to reach my goal. It may even take me 10 months to get rid of the 73 lbs I need to lose. So far, I'm so happy with the numbers! wow this is a great improvement the results are good, way to go.kaya natin tohehe..